Instantly download these printable Coachella Party Tic Tac labels. These make easy work of your Coachella birthday party favors! Simply open the template in Adobe Reader and type over my sample text. Edit and print as many times as you like. 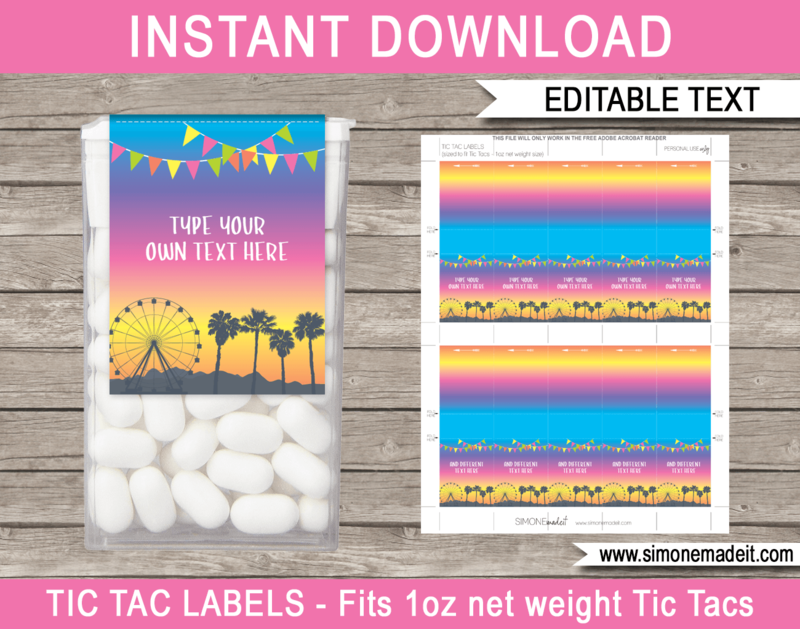 Download your Coachella Party Tic Tac labels template immediately after your payment has been processed. Trim out your Coachella Party Tic Tac labels on the provided cut lines and attach to a 1oz Tic Tacs box (or 24g in Australia).